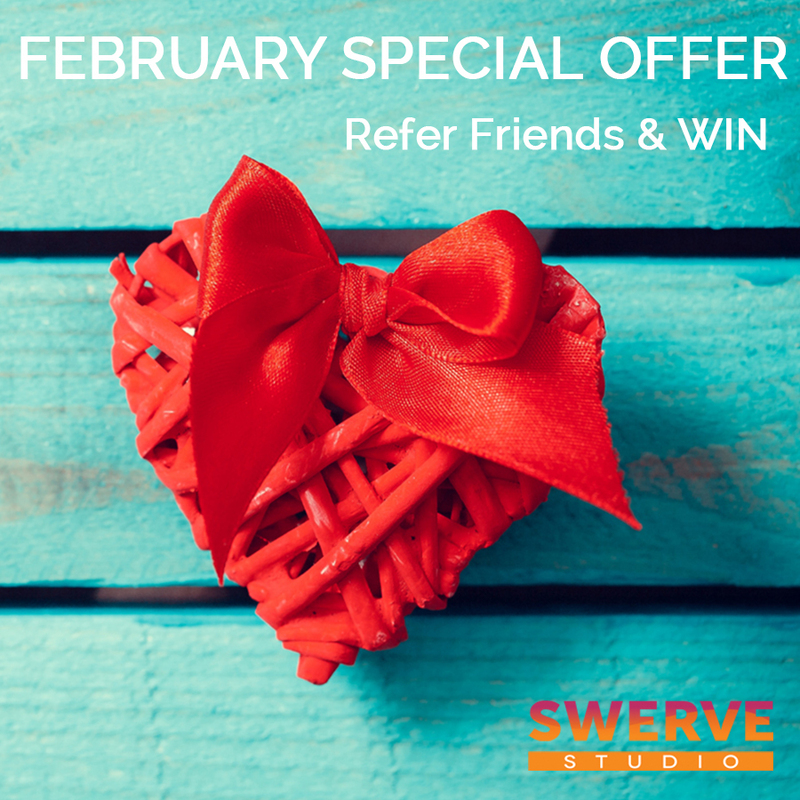 SWERVE is all about spreading LOVE this month and we've got 3 individual promotions to do just that. to tickle your fancy, get you moving your feet, shaking your booty and taking your soul to soar. Private training is challenging and uplifting, and it's even more fun side by side with a friend. Enter for a chance to win for you and a beloved! Email with a heartfelt declaration for a friend to be considered for our duet training session prize. On February 14th, SWERVE shows you our love. 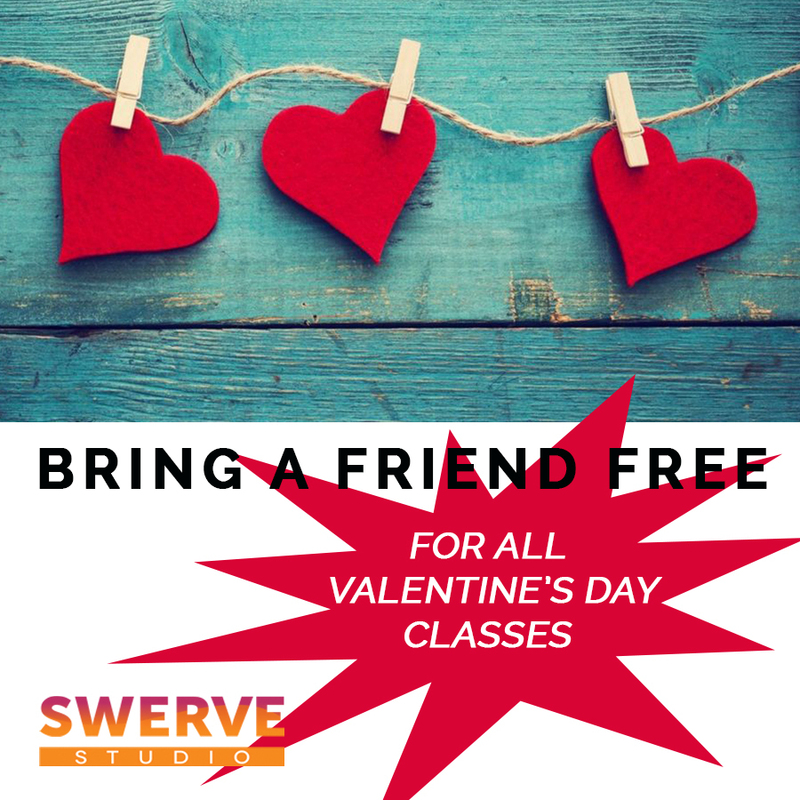 Every paid class participant can Spread LOVE and have a friend try out a SWERVE class for FREE! Got friends or family who've never been to SWERVE or who haven't SWERVED for a year? Throughout February, the SWERVER who's brings the most new friends, wins a SWERVE mug.